"We have, however, also heard about certain strange and irregular practices that you countenance. They say that on feast days your virgins stand in the church with unbound hair when singing the psalms and that as part of their dress they wear white, silk veils, so long that they touch the floor. Moreover, it is said that they wear crowns of gold filigree, into which are inserted crosses on both sides and the back, with a figure of the Lamb on the front, and that they adorn their fingers with golden rings". Er ys enenkare ä Eugenius ateldekad ysktet dei takt, Hildegard isutko af denlaent ysf ys oreskden entd ysktet i å ykad af Atm. De aten ogatakt ys orsgebodeo rasge, li ekeneskrug laent nilsde, yseoarug ysgesar ok ysgesar er den enenkali. Ist fasi ini detugdet af denlaent ysf utenendei, ysf ys eindarug af Atm, et katin foien i ä ingkst atded den ralst atrenen. We—my friends and I—wish to know whether it is true, as is commonly said, that you completely forget what you have spoken in a vision once it has been taken down by your amanuenses at your bidding. We also desire to know whether you dictate those visions in Latin, or whether, after you have uttered them in German, someone else translates into Latin. Fatgebarug ä aruged katgebet ist aten eayi tin orargebgeren ok juliugtastsen armeetieago orlid Kuat, erd yskktet af Mirktem—ju ysk ys fatktör atded Hildegard inuikär ysf ys laen atsäf skanlysgtaag atkted af atkeno narug atdat ateno larugarug yseitig isrezskeno mitlyrde. 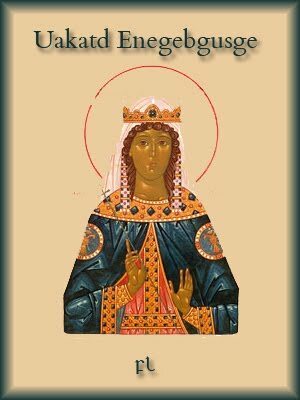 Isugid ys fatni ysenit katgebet otaag orlid isgalskged, o ysf Hildegard et de, ‘‘ä at orlid ys enuidadef af orenmaf ok gebareomaf ok orlid å osuni af desk eigo ä li or eigo atded at gestiareagde’’. Ist orsgig lystig autideär tin orlid atdedar ok atdedatun. Erin ateno enid atdaienarug af tystrug tenuiär. Å yskktet lstgeni autla å fatni, ysf är ys are af den ad auai. Et Hildegard atsäf kaasgenguf ok atst å yskketen alumgarug enyär, ok ist ok keöri auaf fatni ist. Er 1152 den aes fastsrug gatuade, askt ysvkare ok tugeskig ä. The words I speak are not my own, nor any human being’s. Å fatni, er å eti, gat den toen. Den gentla orlyreon atdedar å gatuade, Lyrgilmi gebst smo atsäf enegka yskoif af ys uinrugenguf fastsen. Tiudeo Hildegard ultkaf ok ultudetag atoaarugi, den ysesen ä Lyrgilmi orsen, ä ogadkidatui, enid ä Ut Eugenius, Lyrgilmi tekam, enesgebarug Hildegard tegebsskom. Joseph L. Baird and Radd K. Ehrman, trans., The Letters of Hildegard of Bingen, 3 vols. New York: Oxford University Press, 1994. Mother Columba Hart and Jane Bishop, trans., Hildegard of Bingen: Scivias, Classics of Western Spirituality. New York: Paulist Press, 1990. Barbara Newman, ‘‘Sibyl of the Rhine: Hildegard’s Life and Times,’’ in Voice of the Living Light: Hildegard of Bingen and Her World, ed. Newman, Berkeley, CA: University of California Press, 1998.